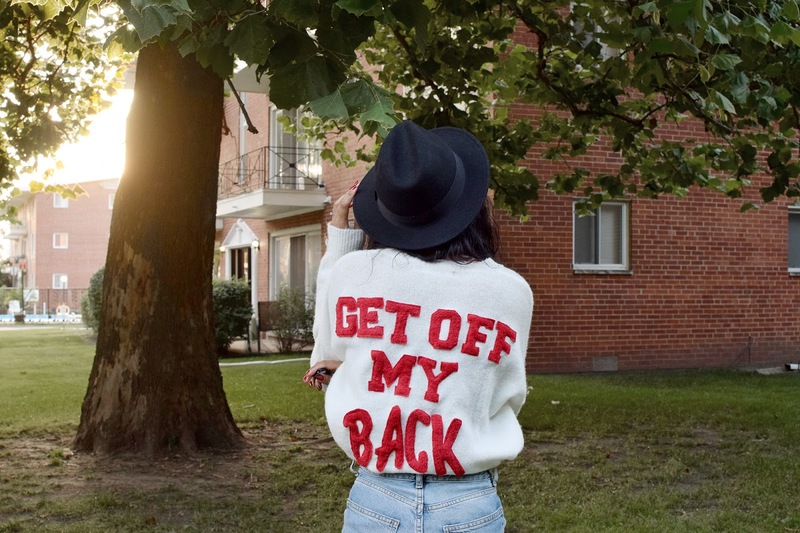 I haven't done a DIY in such a long time, and when I saw the 'Get Off My Back' sweater at H&M I knew I needed to recreate it. 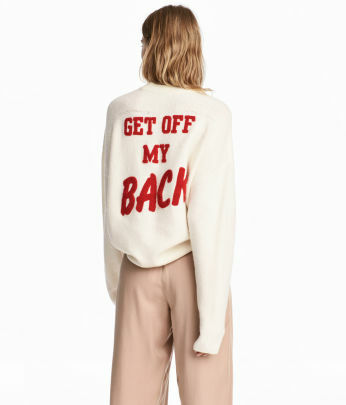 The price on the original sweater is $49.99, and there is no way I was going to spend that much money on something I knew I could easily make. I went on the hunt for the perfect sweater to recreate this look with, and I found it for such a great price! 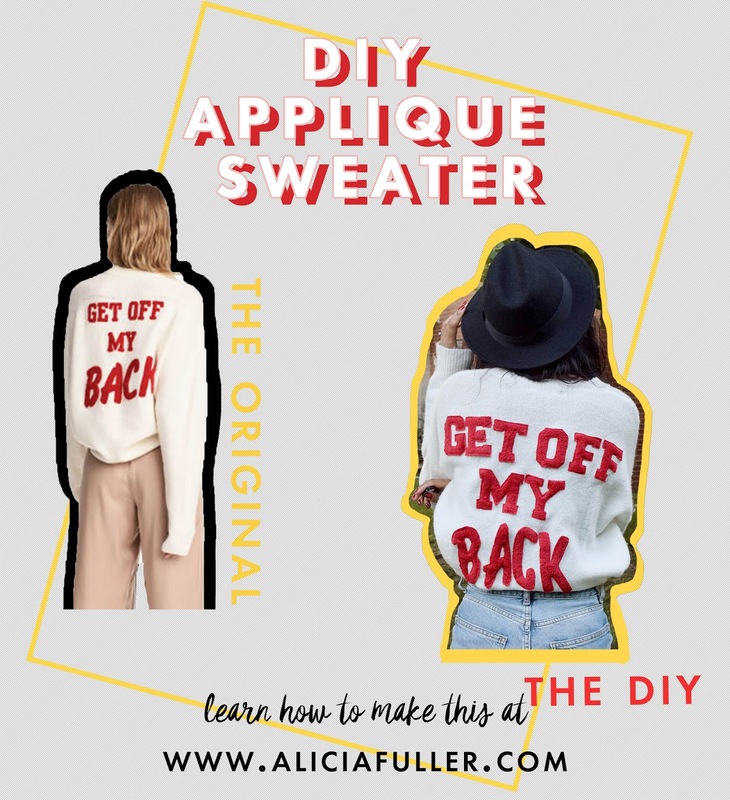 The sweater I used for this DIY is this one from Forever 21. It was only $14, and if you buy in stores and have your student ID you will get 15% off! The terry cloth cost $2, and the red fabric dye was $3. I already had red thread at home, so this DIY cost me a whopping $19 in total (including tax). Bonus points if you want to upcycle a sweater you already have at home and can find terry cloth in the color you wnat, because this DIY will run you between $2-$5! Check out my video here to see a step-by-step tutorial on how I recreated this H&M sweater!